John Rabby of AgBiome opened the night by discussing how they’ve been successful in sustainable agriculture. Their objective: to find solutions for all problems associated with growing crops around the world to feed our growing population. AgBiome was founded in 2013 and has since hired 90 employees, expanded into three buildings, and raised $118 million. John shares the work they’ve done with microbes and how they now have the largest microbe selection in the world. Watch John’s talk here. Jean Davis of MCNC spoke on how the 30-year old company morphed into what it is today. MCNC now owning and operating the largest high-speed fiber network in the state, they provide network services and connectivity to all community colleges, school districts, UNC Schools and more. Jean also shares how MCNC strives for digital equity so that people from all different socioeconomic counties within the state can have the same digital resources and equal opportunities. Watch Jean’s talk here. Ethan Klem of SWIR Vision Systems discussed their newest product: a high resolution shortwave infrared (SWIR) camera. Ethan explained how this is not the classic silicon sensor used in traditional cameras; the SWIR camera can see through many plastics, detect moisture, chemical signatures, and more. This hardware detects light that is just beyond what the sensors can detect. Watch Ethan’s talk here. Kelly Pfrommer of Cloud Giants shared her experience with work-life balance. Kelly explained that she needed to find a way to blend her professional world with her personal world, and founding Cloud Giants was the solution. She expressed that she sees Cloud Giants as an experience rather than an accomplishment because their journey is not done yet. Watch Kelly’s talk here. Tania Munz of National Humanities Center discussed how they’re one of the world’s leading institutes for advanced study, and the only one of its kind dedicated exclusively to the humanities. She dove into the importance of humanities by sharing the work of two former researchers from the National Humanities Center who have real-world expertise in two different lines of humanities. Watch Tania’s talk here. 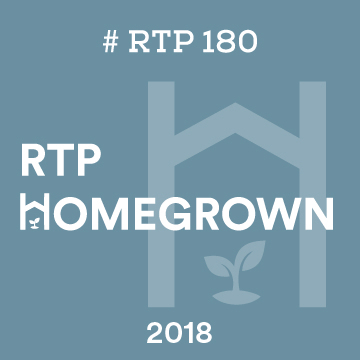 Ready for more #RTP180? We have TWO topics next month—Death on October 18 at The Frontier 800 (tickets), and Fake News on October 24 at NC State University’s Talley Student Union (tickets). See you there! 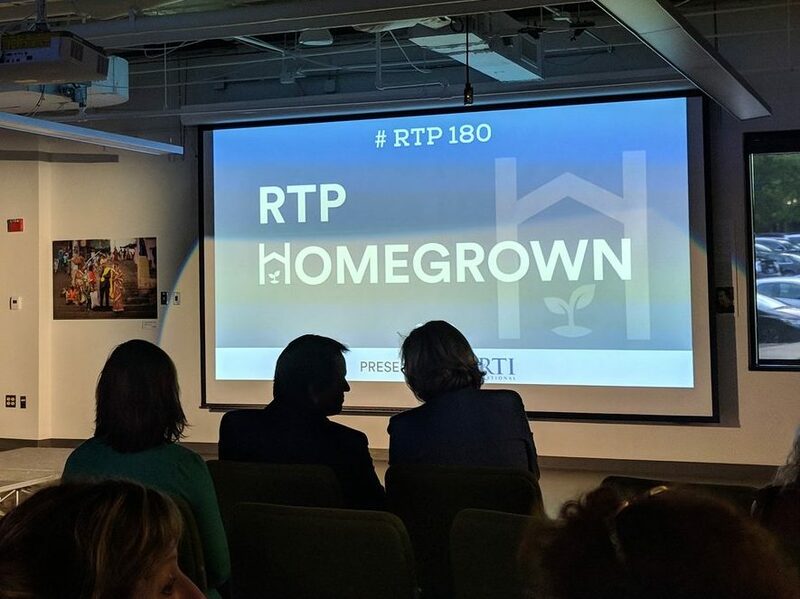 Thanks to presenting sponsor RTI International for enabling us to provide a platform for our community to share their knowledge. 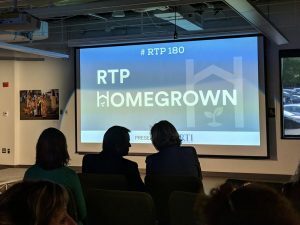 We’re also glad to have UNC-TV as our producer—if you can’t make it to an RTP180, be sure to watch the live stream beginning at 6:00PM EST the day of the show, and follow along with us on Twitter using #RTP180.